Speaking generally, there aren’t too many new cars that cross the pages of this site. It’s even somewhat rare for us to breach the decade-old mark; that’s the point where really nice used examples of our favorites start to become hard to locate. And, frankly since anyone can walk into a dealership, sign a few papers and walk out a lot lighter but with any specification car they can afford, the older metal is typically what draws our (and, hopefully, your) interest. But once in a while something pretty special comes along, from a 911R to this car. 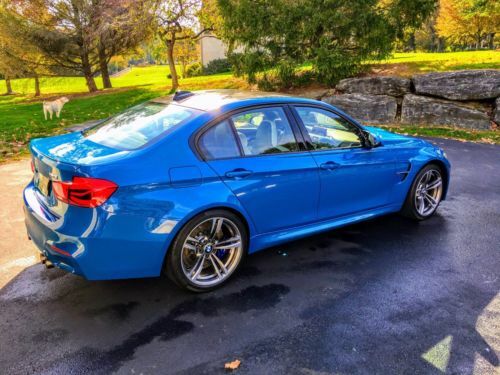 The fifth generation F80 M3 has taken a huge leap forward in complexity, technology and performance. The S55 twin-turbocharged inline-6 is an absolute tower of power; while ultimate horses didn’t increase much version the E9x S65 V8 (425 versus 414), the torque was the big news. It was in part the final number – 410 lb ft., up an amazing 90 over the V8, but it was also the reality of when you could use that torque. The S65 developed peak twist at just shy of 4,000 rpms; the S55 does it at 1,850. Not only that, but the torque curve is billiard table flat until 5,500 rpm. The result, despite the heavy weight stature of the new gigantic F80, is astonishing speed. Exterior & interior coated in Ceramic Pro Gold, lifetime warranty, transferrable to the buyer. 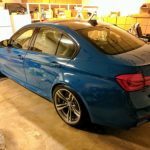 Since Iâ€™m working from home, the M3 just sits in the garage, lonely for attention, at 1,624 miles. Itâ€™s time to use the money in a different way and find someone who will benefit from all of the luxury, power and beauty this vehicle has to offer. 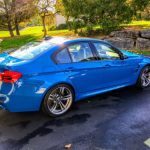 The M3 is by far the best vehicle I have ever owned or driven, and the 6MT is amazing. The MPE is a must have option to bring out the sporty exhaust noise. Any questions? Please contact me. SERIOUS INQUIRIES ONLY. 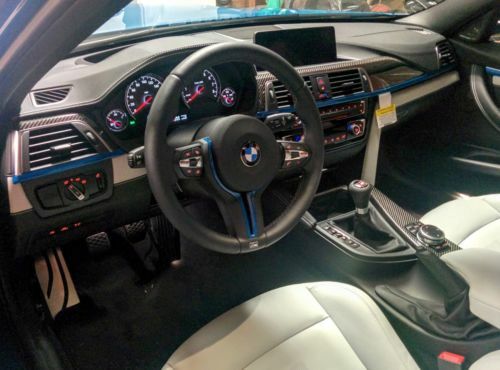 This car was fairly well specified with the Individual color and trim, Silverstone Merino leather and the M437 19″ wheels. 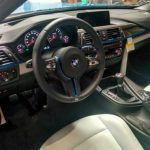 It’s full of tech gadgets, but maintained the analog 6-speed manual in favor of the faster 7-speed DCT – most M enthusiasts will feel that was well done there. 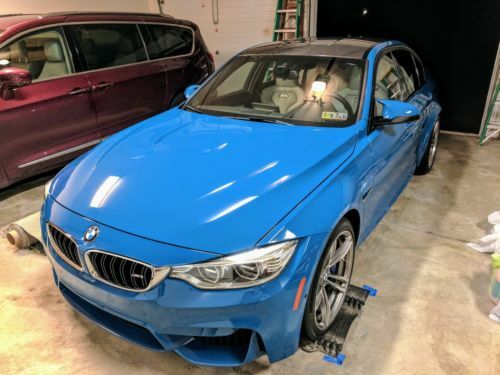 It is a bit interesting that with the mix of options, the buyer didn’t choose the popular Competition Package as well, especially since they bought the M Adaptive Suspension. Condition, with only 1,600 miles on the clock, is basically perfect as it should be. Are there any problems? Well, the price, for one. So far this car has been bid up to $61,500 at time of writing with the reserve still on. 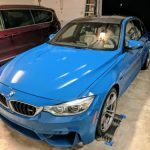 It doesn’t take much time to build up your own M3 on bmwusa.com, and if you do you’ll find you can get most of this package – brand new with great financing available – in a Yas Marina M3 for $70,000 out the door. Or, for that matter, you can choose any other color and have zero miles on the odometer. 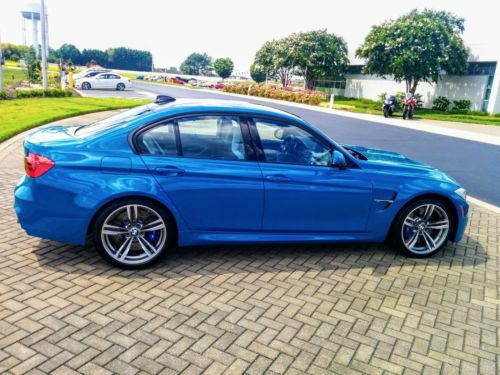 Will the near universal appeal of Laguna Seca Blue alone push this car beyond the pricing of a new one? 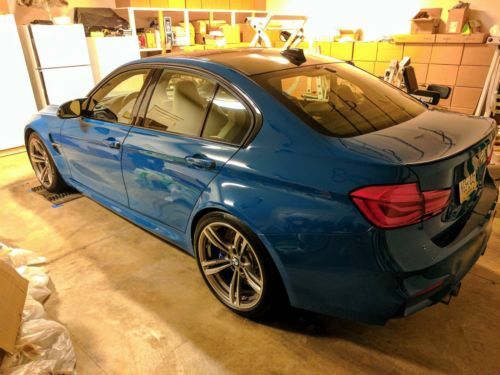 There’s probably at least a few owners that would like to stand out from the crowd, but not pay full retail or wait for a LSB M3 to be produced. I’m betting the owner hopes one will bite and ante up, but you’d be finding me ticking option boxes at the dealer if I could contemplate coming up with enough money to buy this used one. 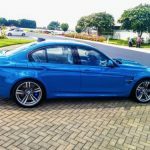 Tagged 2016, BMW, BMW Individual, F80, individual, Laguna Seca Blue, m3, S55, Silverstone, Style 437, Turbo, Twin-Turbo.